It seemed an invitation too good to turn down. I had not previously ghostwritten but this is how the book turned out. 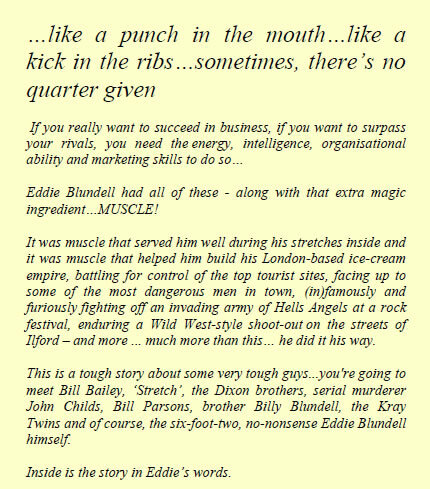 I could not easily write an objective account of Eddie Blundell’s activities in London and Essex and so the tale is told from his point of view. Over many months Eddie dictated his story onto tape and his wife then forwarded the verbatim account to me. My role was to shape his sometimes rambling story. Throughout the language is very strong but I have tried to capture his voice register. 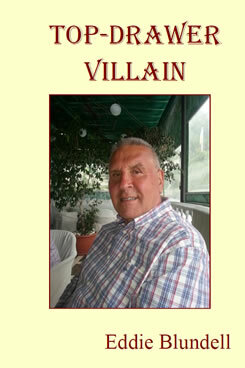 Price of ‘Top-Drawer Villain’ is £7.99 including p&p. Also available as a printed book and an ebook from Amazon.